Commodore 64 as bitcrusher audio effect! This is a video from LITTLESCALE youtube channel. 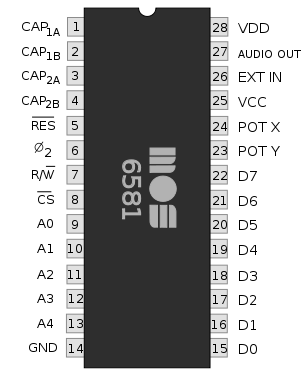 The SID is a synthetizer chip built to give a “voice” to the classic home computer Commodore 64. 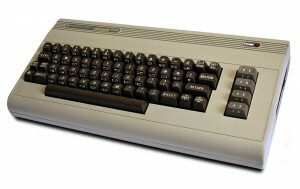 The sounds and music capabilities of the Commodore 64 were really ahead at that time, and everyone of us remember the tunes of tons of games played on the C64. The sound capabilities of the C64 were really appreciated by the demoscene movement during the 80s and early 90s, and even experimental electronic musician incorporated that sound in their compositions. In the 90s a little synth manufacture started their businness building the first SID based synth, the SidStation. The sidstation uses a single chip as voice generator. Today the Sidstation is a priced collectable piece of gear as they were made on a limited number (under 1000 units) and are out of production from years.